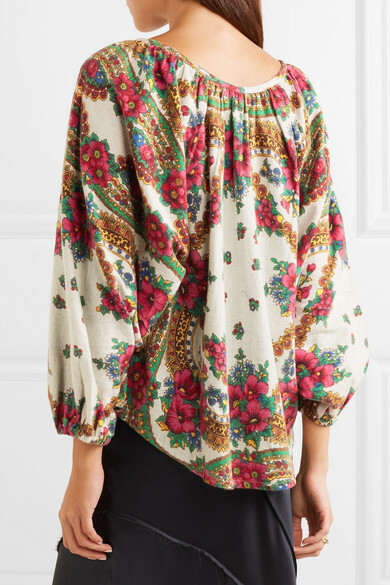 Parisian label Mes Demoiselles is loved for its relaxed, bohemian aesthetic. 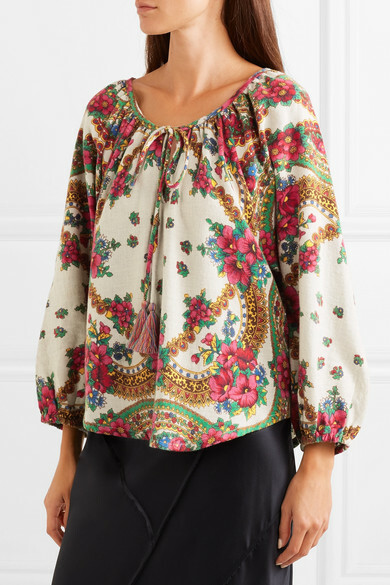 Made from a cotton-blend, this floral-print blouse is cut in a breezy shape that's defined by elasticated cuffs. 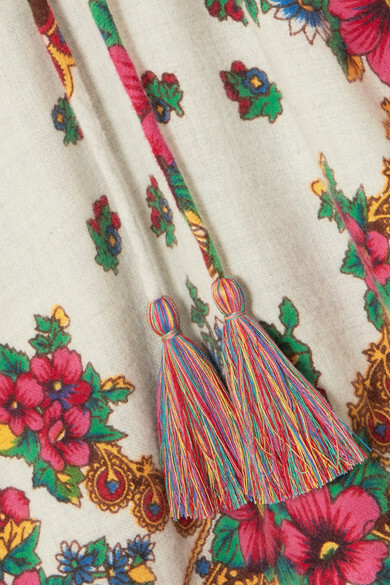 The round neckline has long ties tipped with playful rainbow-hued tassels. 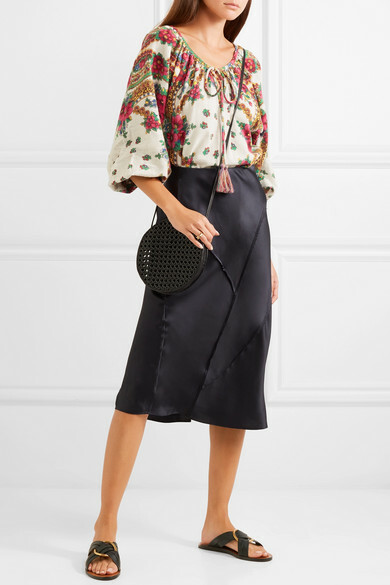 Outfit 1: Vince Skirt, Elizabeth and James Shoulder bag, Chloé Slides, Paola Vilas Ring. 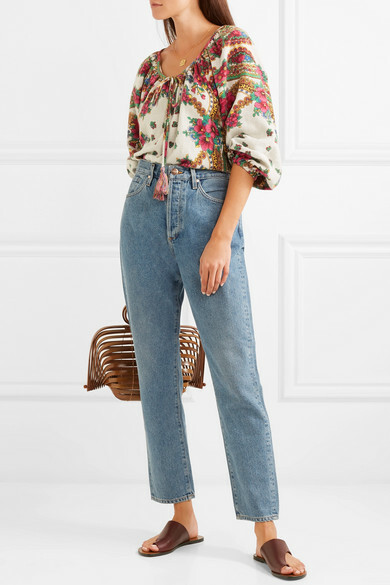 Outfit 2: Goldsign Jeans, Cult Gaia Tote, Chloé Slides, Alighieri Necklace.